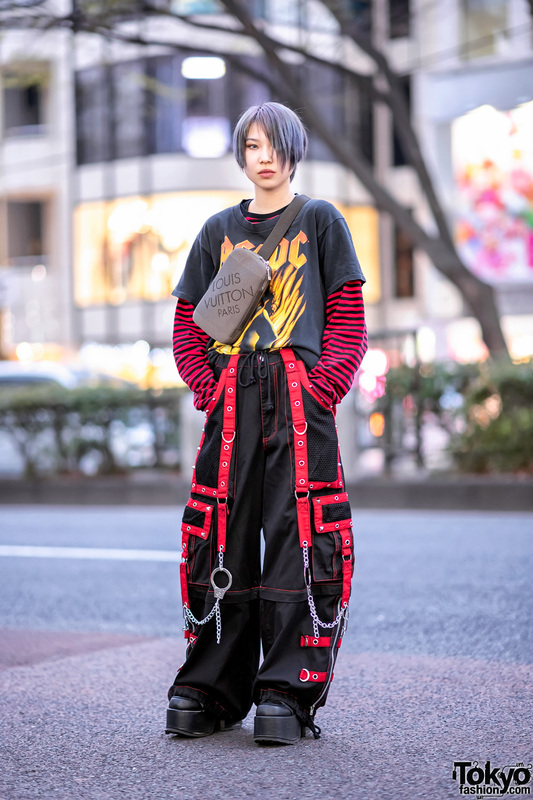 Making a bold statement on the streets of Harajuku was Kenta, a fashion industry professional who stepped out in futuristic streetwear featuring all-over logo prints. 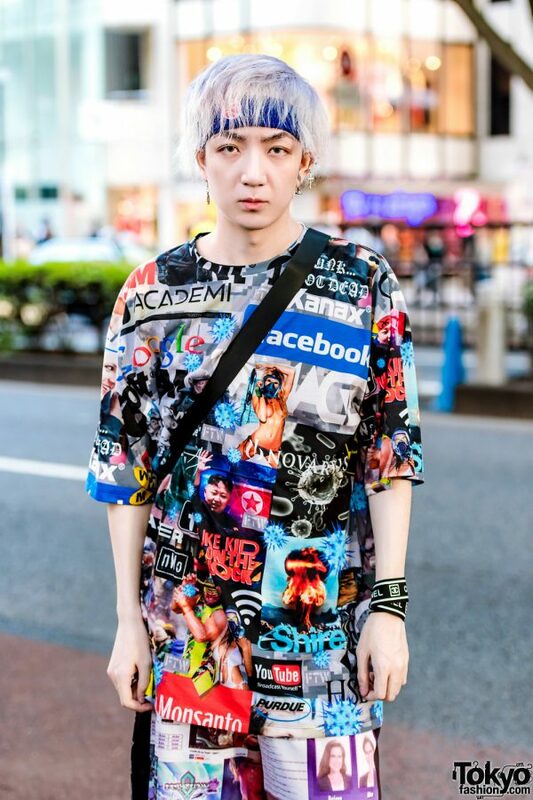 Kenta wore a Damage (DVMVGE) graphic tee and Samsara Collection printed shorts, which he acquired from Dog Harajuku. 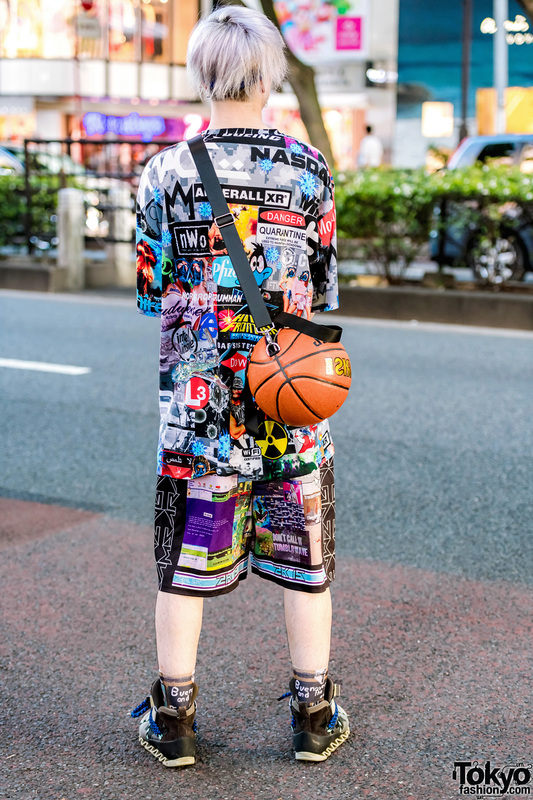 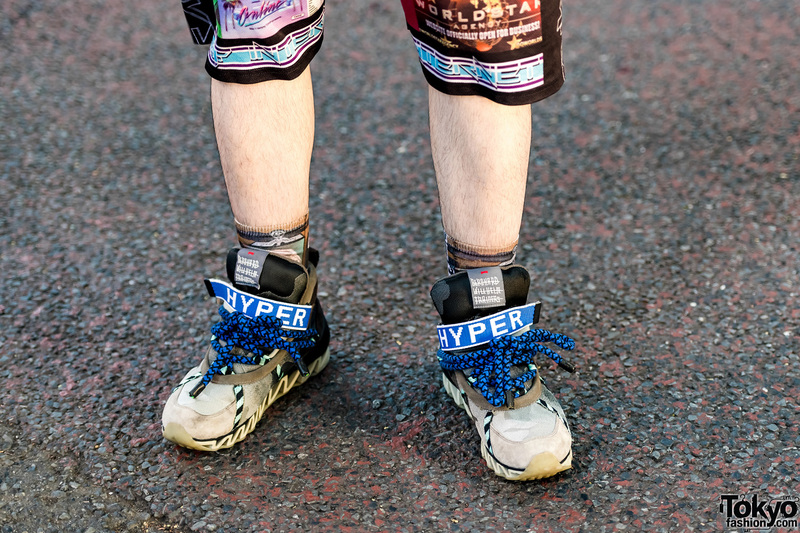 He continued the edgy sportswear motif with a basketball bag from Jeremy Scott and Bernhard Willhelm sneakers with blue laces. 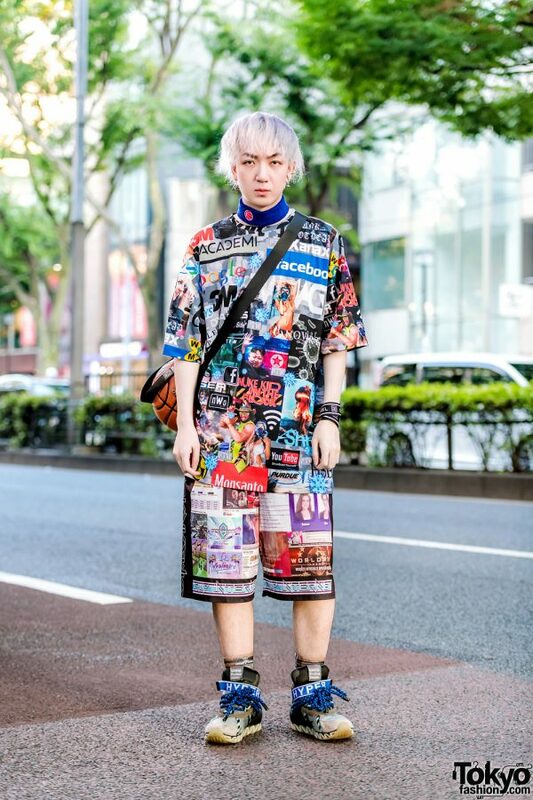 Silver hair, a blue headband, multiple ear piercings, and Chanel accessories completed his look. 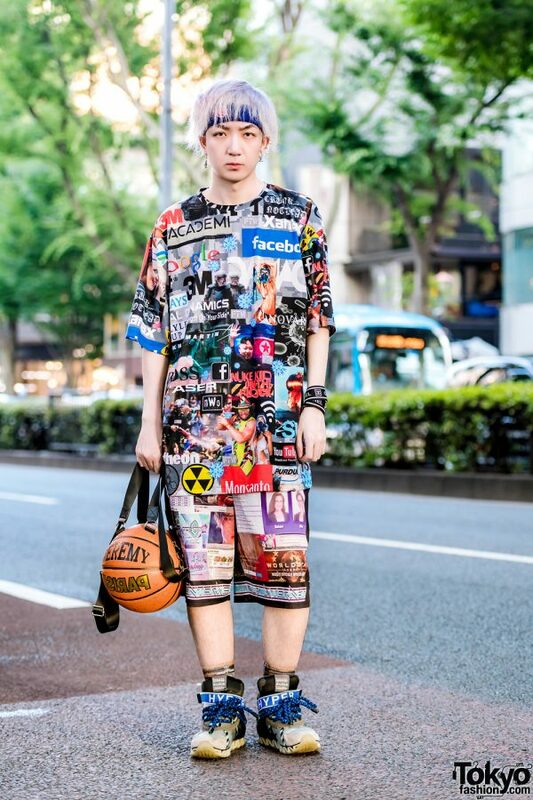 Kenta gets his fashion favorites from Dog Harajuku, and he enjoys listening to rock ’n’ roll music. 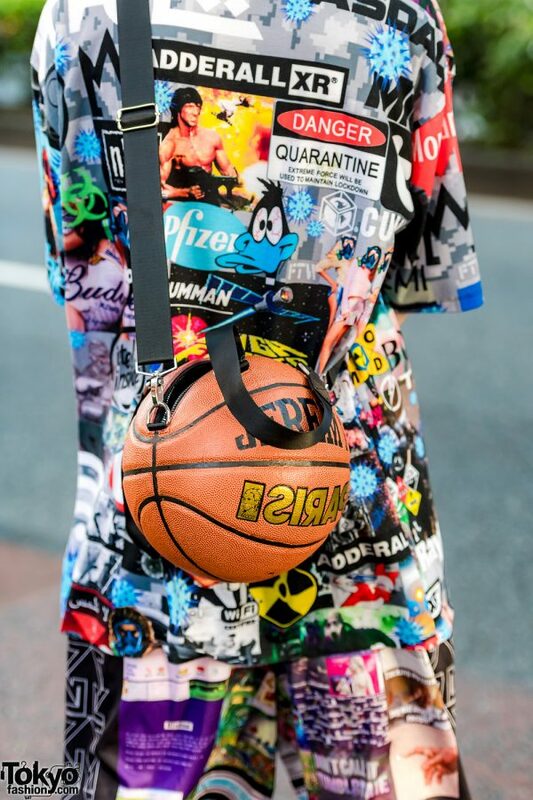 For more style updates, follow Kenta on Instagram.